The shopper tried to stop three armed men after they robbed a coin shop in Brooklyn Mall, Pretoria. Pretoria East Rekord reports that a man was shot and wounded on Thursday when he tried to stop three armed robbers after they stole almost R1 million from a coin shop in Brooklyn Mall. Police spokesperson Captain Kay Makhubela said two of the suspects entered a coin shop around noon while the third one was keeping watch outside. A shopper saw the men fleeing and confronted them, Makhubela said. Another shopper, who asked not to be named, said three shots were fired. 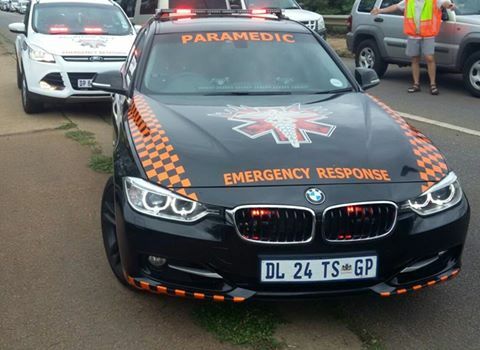 Emer-G-med spokesperson Braam Kruger said the man was in a critical condition after advanced life-support paramedics stabilised him. Some stores in the mall shut their doors for a while but the centre stayed open to customers. Centurion Concerned Citizens said the men fled in a white Ford Bantam with registration number VZV 245 GP. Makhubela said an attempted murder and business robbery were being investigated.